Photo: Los Angeles County Metropolitan Transportation Authority. 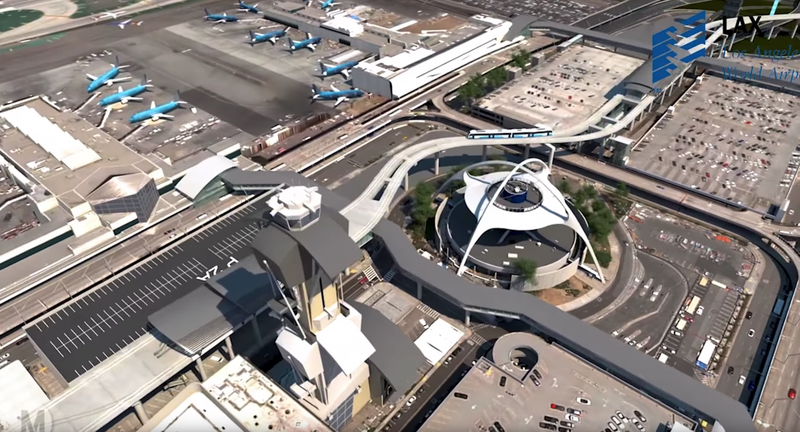 The Los Angeles County Metropolitan Transportation Authority (Metro) has released a video showing what the area’s transit system will look like in 2028. Eleven years from now Los Angeles is hosting the Summer Olympics and Paralympics and in the run up to the landmark year there are a whole host of planned changes to the area’s public transport system. And the 1.9 mile Regional Connector that will connect the Blue, Expo and Gold lines, which is scheduled to open in late 2021. Other projects to be completed in the next 11 years include: an extension of the Gold line, the first phase of the Artesia to Union Station line, and a high-capacity transit line that will run between the Orange line and Sylmar/San Fernando Metrolink station. Sounds good for Los Angeles. Does Donald Trump know about this?